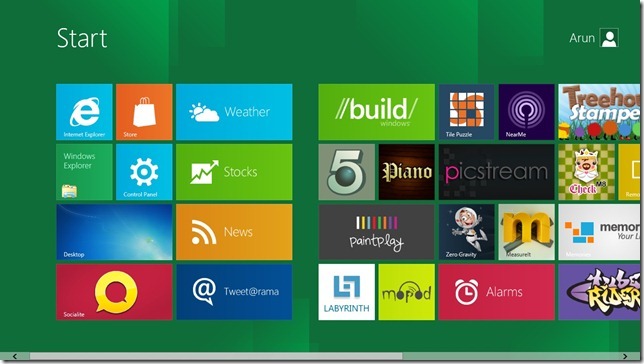 Microsoft recently launched windows 8 Developer Preview a pre-beta version of Windows 8 for developers. This developer preview is just like a beta version of the windows 8. It means that it is not completely ready for using but still you can check how it looks and some new features in windows 8. Windows 8 operating system (OS) is launched for both 32 bit (x86) and 64 bit (x64) platform. I tried windows 8, after trying what I feel is-windows 8 got major changes when we compare with other OS. Booting screen got green look, installation of windows 8 takes only few minutes and it install very fast, it got some major changes in design as well.